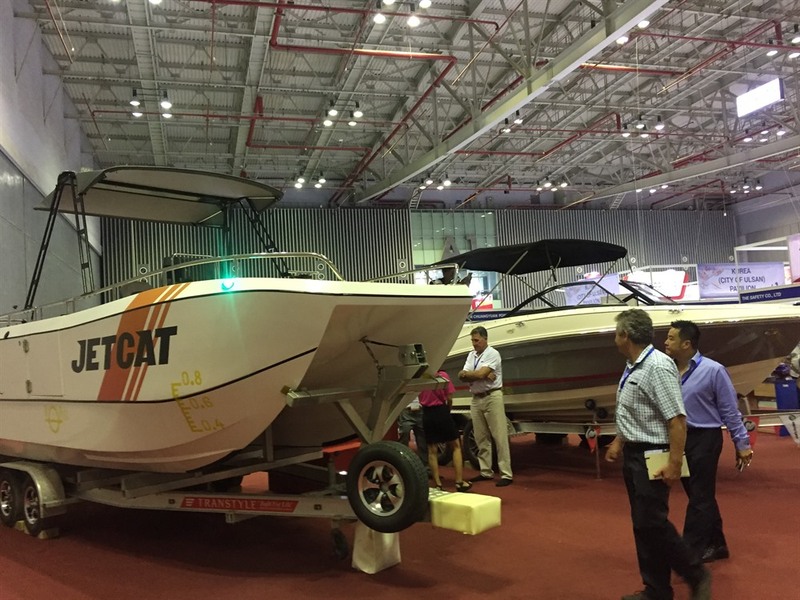 HCM CITY — More than 200 domestic and international companies and brands are showcasing all aspects of shipbuilding, marine services and engineering, marine equipment, and port and supply chain management solutions at the 7th International Maritime Expo that opened in HCM City on Wednesday. This year’s expo features a shipyard pavilion with the presence of 25 shipyards. They include some of the biggest names in the industry such as Saigon Shipbuilding & Marine Industry Co., Ltd, Damen - Sông Cấm Shipyard Co., Ltd, Saigon Shipbuilding Industry Co., Ltd, Phà Rừng Shipyard, and Hải Minh Shipyard – Ba Son Corporation. National pavilions from Singapore, South Korea, the Netherlands, and the UK are present to tap into Việt Nam’s burgeoning growth. One of the national pavilion exhibitors is the Society of Maritime Industries, the voice of the UK’s maritime engineering and business sector. The Netherlands Pavilion is led by the Netherlands Maritime Technology trade association, which is the first port of call for and the primary representative of the Dutch maritime technology sector. A series of seminars on topical issues in the maritime industry has been arranged. Local and international industry players will share their expertise in important current issues at the seminars at the three-day INMEX Vietnam. Xue Hua, managing director of Weichai Vietnam, said: “As one of the main industries in Việt Nam, the marine business is driven by the country’s growing economy and is becoming more attractive to prominent international marine product manufacturers. The long-term prospects for the Asian maritime industry are very optimistic since Asia is one of the fastest-growing regions in the world, Michael Duck, executive vice president of UBM Asia, said. The main growth in shipbuilding would come from the Asia Pacific countries, with Việt Nam being one of them, he said. The marine engines market is set to surpass US$13 billion by 2024, according to a report by Global Market Insights. In Việt Nam, the maritime-related businesses are forecast to account for 50 per cent of Việt Nam’s national economy by 2020 with sea-related trade volumes expected to triple that year. Numerous trade deals are expected to be signed by Việt Nam with other countries in the coming years, and the number and capacity of Việt Nam’s ports are insufficient for the imminent economic growth. With average annual export growth of 12 per cent, Việt Nam’s port infrastructure needs continuous and further development to facilitate its growth. The latest maritime technologies and solutions are required to facilitate that growth, Duck said.